I have long used what nature provides to help heal most ills that come my way. I am a big fan of dōTERRA® Certified Pure Therapeutic Grade CPTG® essential oils. Most often I am able to fend off or ride out the storm of any virus that comes my way; don’t get me wrong, I am not saying stay away from medical help if you feel you need that. If I can calm my mind and be pro-active when symptoms first appear, assess whats going on, find what to apply to my symptoms, and liberally medicate with natural remedies more often than not my outbreak is less severe and my down time is greatly improved. Also there is something extremely empowering about healing yourself. A few key elements to all of this is to listen daily to how you feel, make sure you are on quality supplements to boost your well-being and feed your body real food. Rest is paramount to staying healthy and to healing.If you are tired then take a nap and if that isn’t possible go to bed early and get some extra sleep. If you have a runny nose or a tickley throat listen and feed the body things that it can use to heal and combat the intruders. Stay away from sugars and foods that feed viruses and bacterias and load up on homemade healing soups, teas and lighter foods that don’t required too much digestive energy. Your body needs to focus most of its energy on interior combat and it can perform that task well if you let it. I have had pneumonia 6 times in my life and came to believe that anyone with a common cold was my enemy. A common cold for me turned almost deadly until I changed my life, my diet and improved my health from the inside out. So for those who are skeptics here is my arsenal of oils that I have on hand to combat the first signs of cough and cold. Of course their healing properties go beyond a cough and cold as well and I have copied these items from my website link in case you would like to see more of what this awesome line of products can do to help improve your health too. Another favorite, this essential oil powerhouse is cold-pressed from lemon rinds to preserve its delicate nature and potent properties. 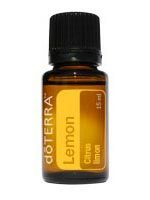 Lemon is known as a powerful aromatic, topical, and internal cleanser that can be used to complement many other oils. Diffusing lemon in a room can cleanse the air and uplift mood. It can also be used on surfaces throughout the home as a non-toxic cleaning booster. For aromatic, topical or dietary use. 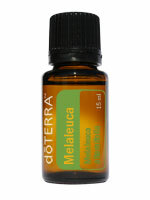 Recognized by its more common name “tea tree”, Melaleuca has been revered for its cleansing and regenerative properties, especially for the skin.Composed of more than ninety different compounds, melaleuca has limitless therapeutic applications. For aromatic, internal or topical use. Although ginger is an indispensable component of worldwide cuisine, it is most notable for its ability to ease indigestion*. Ginger’s sweet, citrusy fragrance accompanies a multitude of other therapeutic benefits. For topical, aromatic, or dietary use. Respiratory issues are prevalent in modern society, and dōTERRA® essential oils are a perfect way to ease breathing consistently for a sustained benefit. 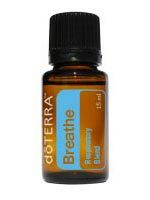 Breathe is a remarkable blend of CPTG® essential oils which combine to do just that, help you breathe easier. A proprietary blend including laurel leaf, peppermint, eucalyptus, tea tree, lemon and ravensara cleanses and soothes the airways, and can easily be applied topically to the chest, back, or bottom of feet. Its pleasant aroma is calming to the senses and perfect for night-time diffusion allowing for restful sleep. For aromatic or topical use. On Guard is dōTERRA®’s unique, proprietary blend formulated to support healthy immune function. Wild orange essential oil, combined with clove, cinnamon, eucalyptus and rosemary offer a fragrant, natural and effective alternative to synthetic options for immune support. On Guard, with its unique aroma, is one of our most versatile blends. It is also safe to use on counter tops, as a non-toxic way to cleanse surfaces, or to purify the atmosphere by diffusing. On Guard is superb for eliminating and controlling pathogens due to the potency of its constituents. For aromatic, topical, or dietary use. These things help strengthen your immune system so they can battle a virus better and On Guard has been studied for its strong ability to kill harmful bacteria, mold and viruses. Certified Pure Therapeutic Grade Essential Oil CPTG® can be taken internally, topically diluted with fractionated coconut oil for massage and diffused in the air to help prevent the onset of flu, colds and viruses. 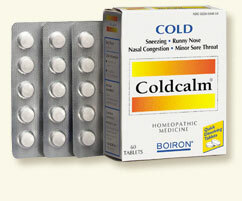 Other than my oils I always have on hand a box of cold calm by Boiron. They also have a super line of products you should check them out as well. 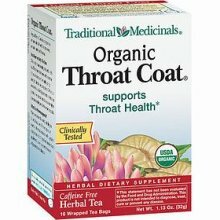 Another staple that is good year round is organic throat coat tea. You can add some local organic raw honey and a drop or two of the lemon oil above and you have yourself a great little cold tonic and you can feel the healing of all that you are feeding your body. If you are interested in finding more information about getting your health on track or in learning more about Certified Pure Therapeutic Grade Essential Oil CPTG®? Please contact me, I am here to help you regain control over your life.